Hope you had a great July 4th! We went to 2 parties and it was lots of fun playing games and watching movies in the back yard...like this (found on PINTEREST). So cool right? 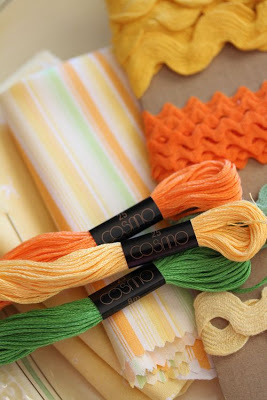 I am entering the Moxi Fab Tuesday Trigger this week "Scene in Tangerine". Here is the inspiration photo. I call the card: You're Invited. And where are you invited to? Well to join my blog of course! With the demise of google reader I wanted to make sure you still wanted to hang out here soooo here are the links which can also be found on my sidebar too. Wow, what a party, sounds fun! Love the card of course! So Fab! Love how you added the paper clip! LOL! Your title cracks me up. The balloons are AWESOME--now I think I want that stamp. ;) Love the negative die-cut sentiment. I'm glad you had a great 4th! Genius ideas on this card! Love it! I love this! The ribbon on the paper clip is perfect and I love the balloons image! Love this card!! I like what Richard said, "I would follow you into a volcano." too funny! 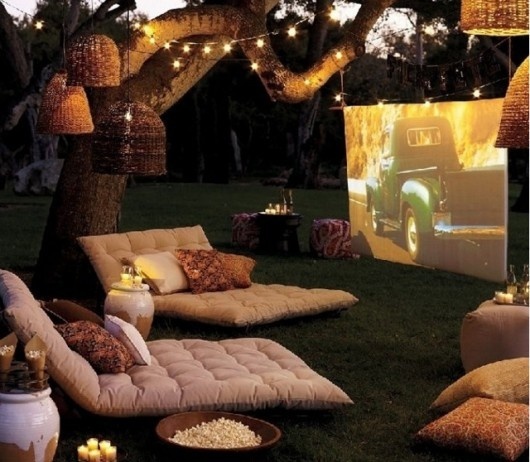 Oh that would be so fun to have a movie party in the backyard like that! 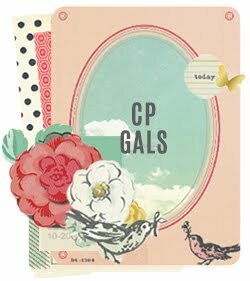 fab card girl :) looks like a wonderful place to have a party!!! Egads ... those colors together are simply divine!!! Orange/beige/lt blue - must remember this. Seriously love everything about this card. 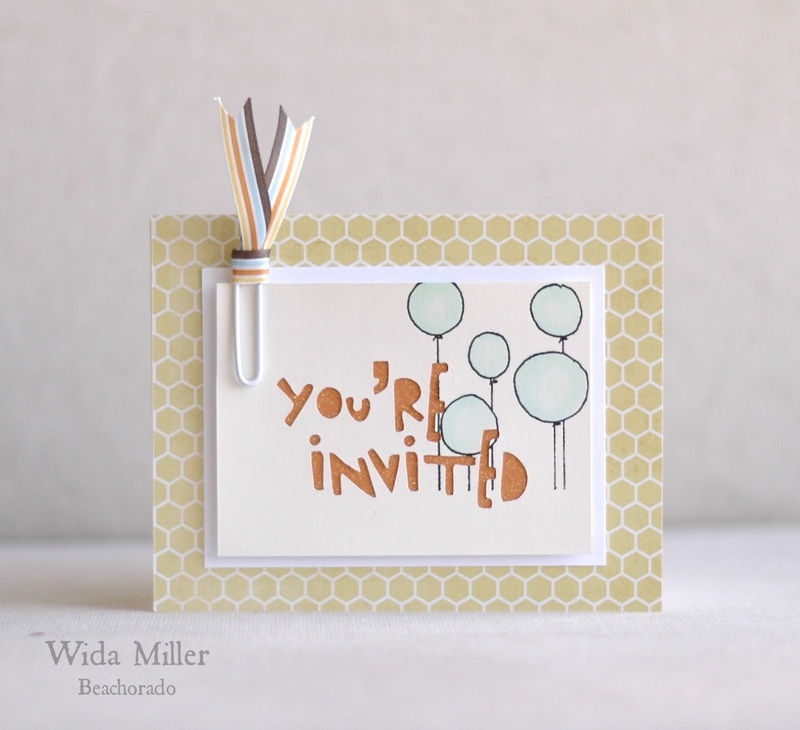 The proportions, double matting, wonky font, balloons over the negative spaces, you've got it all, Wida! 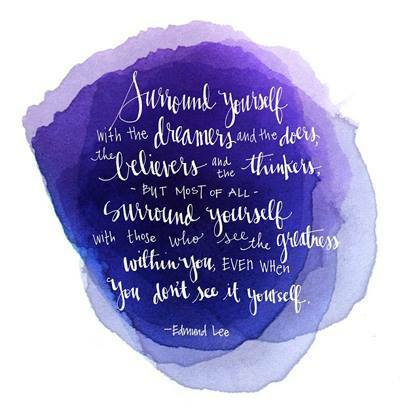 I just started following and so excited to see the wonderful things you do, please tell me what is the ink you used in stamping winterberries on PBB?